What would it appear to peer outside of the window of an actual spaceship stirring along at warp speed through the universe? This video provides us a pretty decent impression. It's the effort of Will Parr, Dr. Mark Swinbank and Dr. Peder Norberg of Durham University, who assembled it by means of data from both the Galaxy and Mass Assembly catalogue and the Sloan Digital Sky Survey. 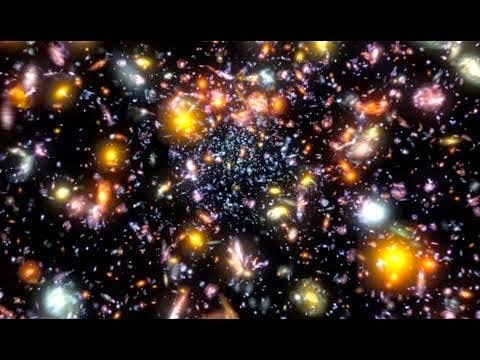 Will Parr, Dr. Mark Swinbankand Dr. Peder Norberg of Durham University write "This simulated flythrough shows the real positions and images of the galaxies that have been mapped so far? Distances are to scale, but the galaxy images have been enlarged for your viewing pleasure." You absolutely want to go full screen on this one!